Parade participants guide a Snoopy float down Broadway at the annual Macy's Thanksgiving Day Parade on November 27, 2008. 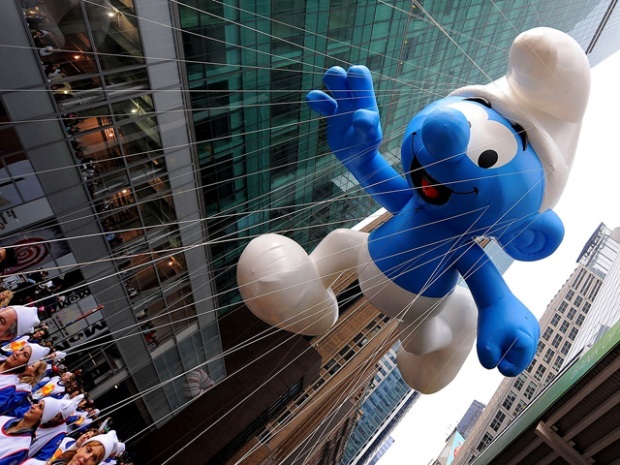 This Thanksgiving the Macy's parade is doing something it's never done before. Turning. For the first time in its more than 80-year history, the parade route is bypassing Broadway as it heads south from the Upper West Side to Macy's flagship store in Herald Square. Participants will be using a new route. It's one that uses the city's streets and avenues and includes turns around five different corners. So it's not just the balloons, marching bands and floats that will be display in the annual Day parade. It's also the laws of physics. Physics professor Brian Schwartz says the demands of the new route will be more of challenge for the balloon handlers and the marching bands. He says the physics of moving down the street are different than what's involved for turning a corner. 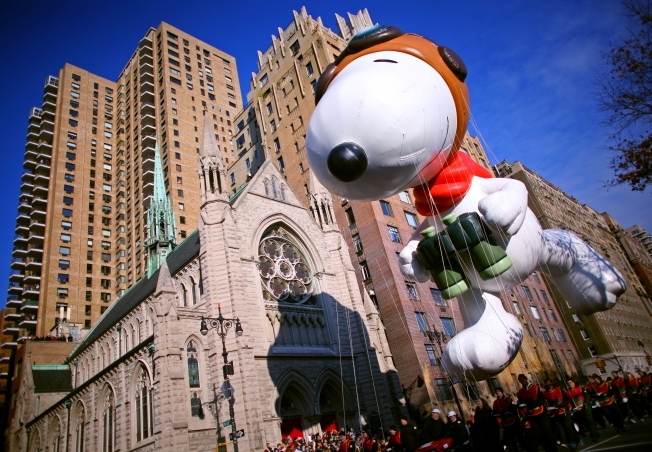 You can watch the parade on WNBC Channel 4 at 9 a.m. on Thanksgiving, Thursday, November 26th.